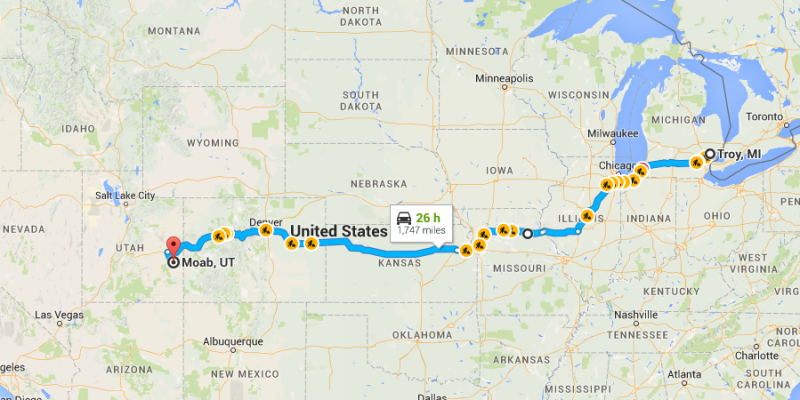 David Tracy is looking for people who might be able to help if (when) he breaks down on the way to Moab. A few Detroit oppos have wrenched on this hooptie. Also, MonkeyPuzzle suggests a betting pool. I can get behind this. I pick the last segment before Moab. The car will be pushed into Moab on fire, but technically triumphant.